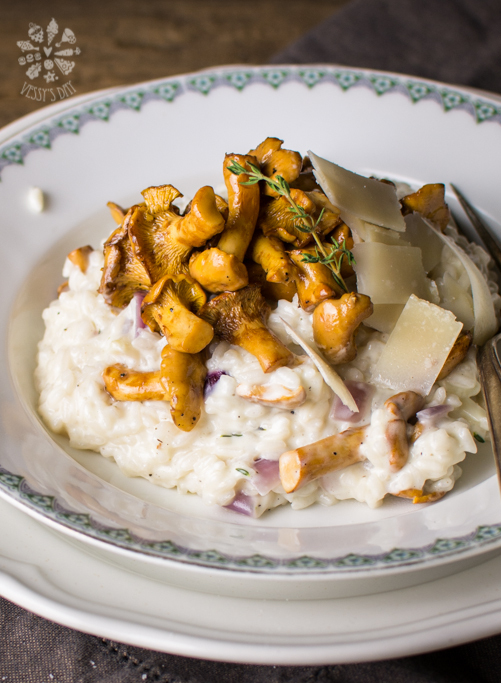 This creamy, flavorful risotto is one of those perfect quick dinner recipes that my family and I love on a midweek night. It is ready in 30 minutes, healthy and delicious, plus, you know, nothing is better than a homemade warm meal, after a long day of work. 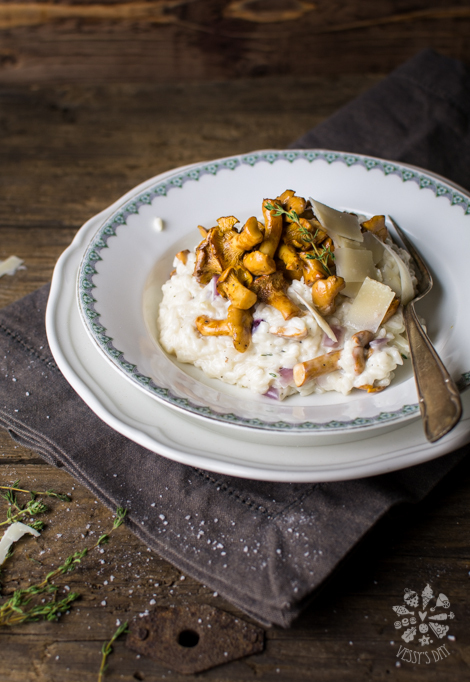 Recipe includes wild Chanterelle mushrooms and mascarpone cheese. 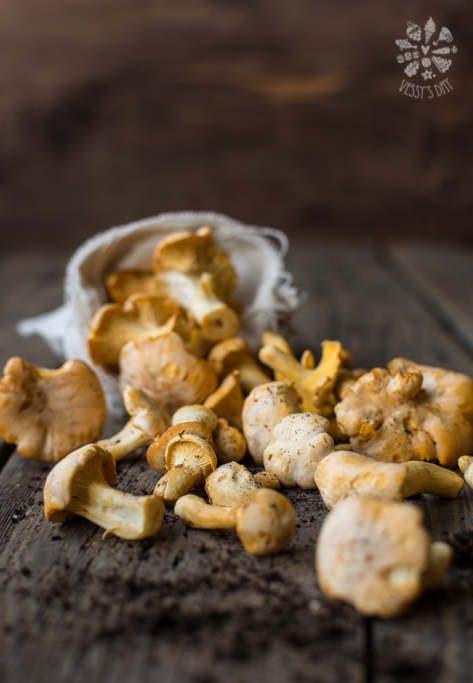 Substitute the wild mushrooms with any other kind your have on hands or prefer! Mascarpone cheese makes risotto creamier and richer, but you can use cream cheese or a little bit of cooking cream instead, if you wish. 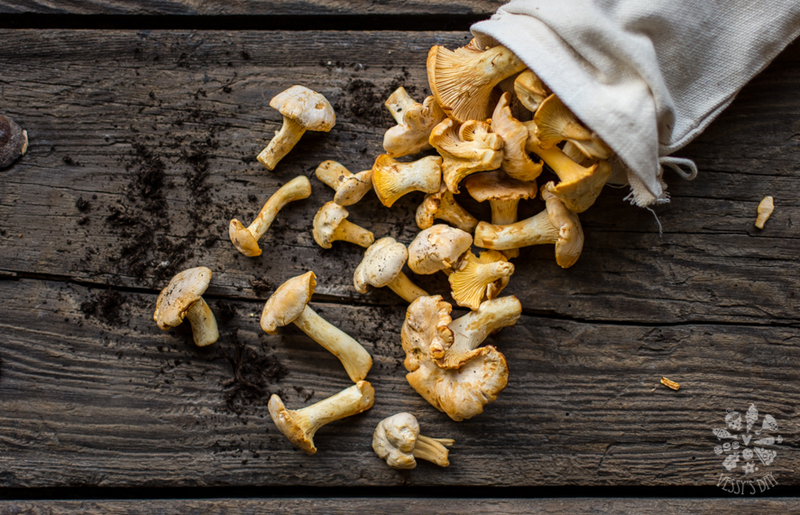 Add more or less cheese, mushrooms and adjust the seasoning according to your taste! In a small saucepan heat the butter. Add mushrooms with thyme and cook until soft and golden brown. Set aside. Prepare broth – you will need about two and a half times the quantity of the rice you are cooking, so if you have 200 grams of rice, you will need about 500 ml. of broth. You will have to adjust the quantity of the broth on the go, depending on the type of rice you cook. Keep the broth hot until needed. In a large saucepan heat the olive oil on medium-high heat. Add the onion and cook until translucent and softer. Turn the heat down to medium and add the garlic. Cook for a minute, then add the rice and mix with the onion and garlic, just enough to heat it, not fry it (on low heat). Turn the heat up a bit and gradually start adding the broth, part by part as you stir the rice repeatedly – stirring is important because it helps the rice to loose the starch, which creates nice creamy texture of the sauce. Make sure to stir your rice almost constantly but gently because you don’t want to smash it. Let the rice absorb almost all of the part broth you have added, before you add more broth. 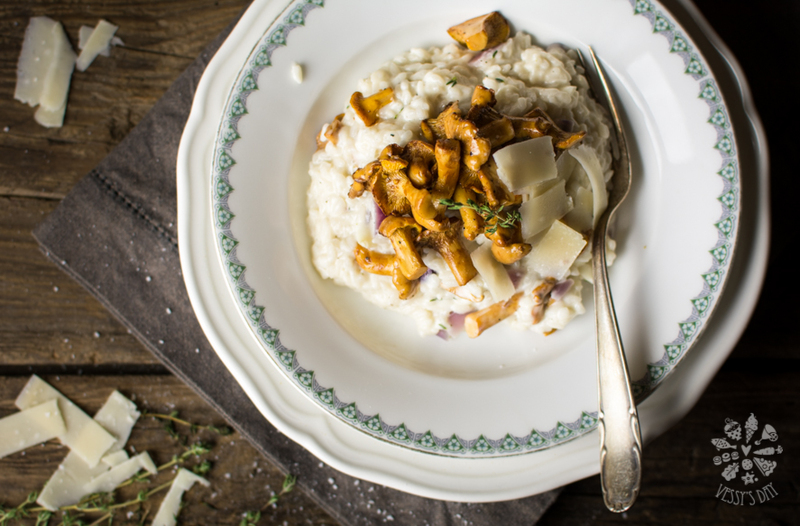 Keep adding broth until the rice is almost cooked – the rice should be al dente and moist – this means that risotto is usually served with it’s creamy sauce. If you let the broth evaporates completely while your rice is cooking, then you will not have the creamy sauce. 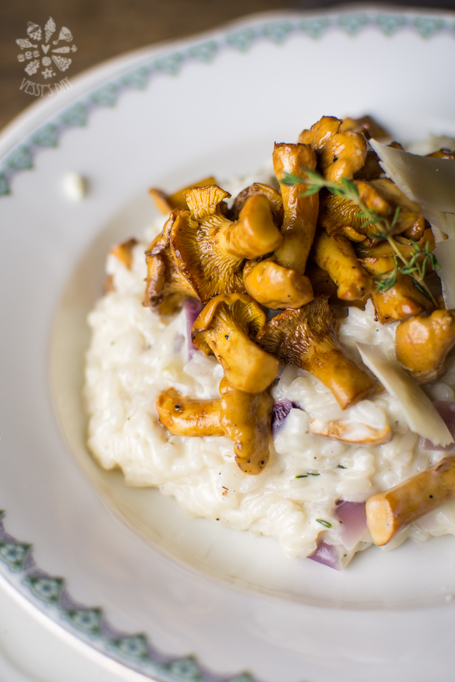 If you see that risotto gets dry but it is almost cooked, then add just enough broth to moisten it. Total time for cooking the rice is about 20-25 minutes, so about 2-3 minutes before the rice is ready add the mushrooms and stir. Turn the heat off and add the mascarpone, stir gently to combine and season with salt and pepper.